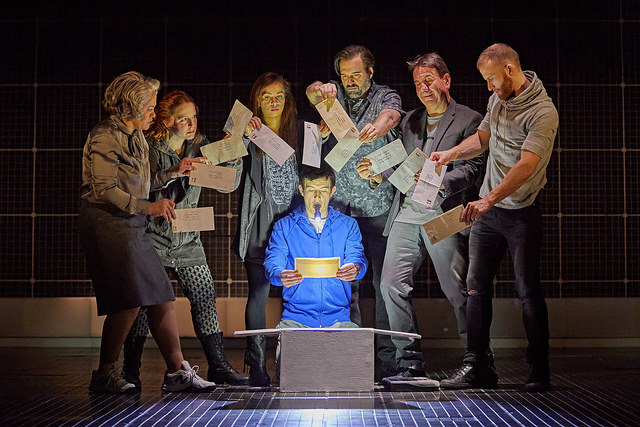 I was back at The Lowry last night, this time to watch The Curious Incident of the Dog in the Night-Time. The guidance for this show is 11+, so J did not accompany me. Neither did M. I went with a lovely friend instead. It was her first outing to the theatre, so the pressure was on! Having read the book, I was curious (see what I did there J) to see how it would translate onto stage. 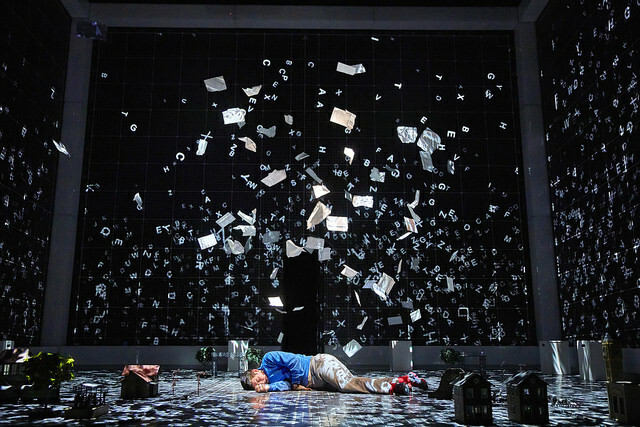 The Curious Incident of the Dog in the Night-Time did not disappoint. 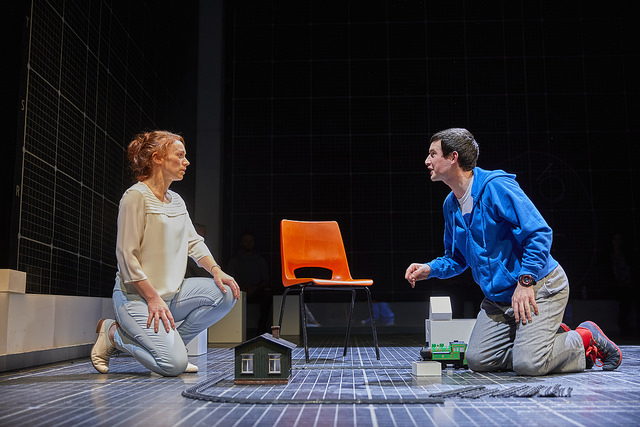 The story revolves around fifteen year old Christopher Boone (played by Scott Reid), who suffers from Asperger syndrome, and the upheaval that the murder of a dog causes in his life. Christopher embarks on a remarkable journey that tests his strength of character and resourcefulness. The narrative is in the form of a book that Christopher is writing helped along by his teacher Siobhan (ably played by Lucianne McEvoy). As Christopher recounts his experiences, we are introduced to characters that play a pivotal role in his life and in the unfolding of his story. Most notable for me was his dad Ed (played by David Michaels). The struggle he faces as a parent trying to do his best by his son is something any parent will identify with. His anxieties, his dilemmas, his pride and his love are assayed to perfection. 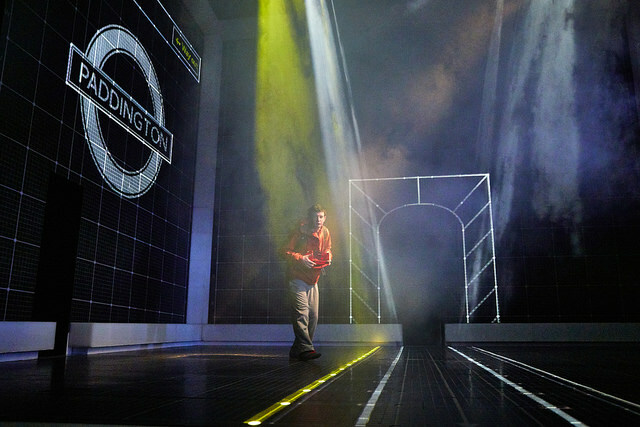 Scott Reid is exceptional in his portrayal of Christopher. I don’t think I can ever read the book again without picturing him as Christopher. He is emotive, he is agile, just brilliant. There are a couple of gravity-defying stunts that had me catch my breath in awe. It is clever, the blend of technology and movement used to portray his struggles, both within him and with his surroundings. His fascination for facts, his mastery over maths and his love of space and science are brought to life with ingenuity. The play has its lighter moments. This, I believe is the playwright and director’s outlook and interpretation of the original. For when I was reading the book, all I could sense was wry humour. Especially coming from Christopher. I could not bring myself to burst into laughter (unlike some other audience members) when he came out with matter-of-fact, straight-faced lines like his age, or repetitive ones like when he tries to buy the London A-Z. For me, these are character traits that define him as a person, and not something to laugh at. That said, there were a couple of other character portrayals that really did make me smile with their on-stage antics. For those of you who have not read the book, I will not give anything away. Suffice to say that there is an utterly adorable “Aww!” moment towards the end of the performance. If you haven’t done so yet, do get yourselves tickets to watch this outstanding production. 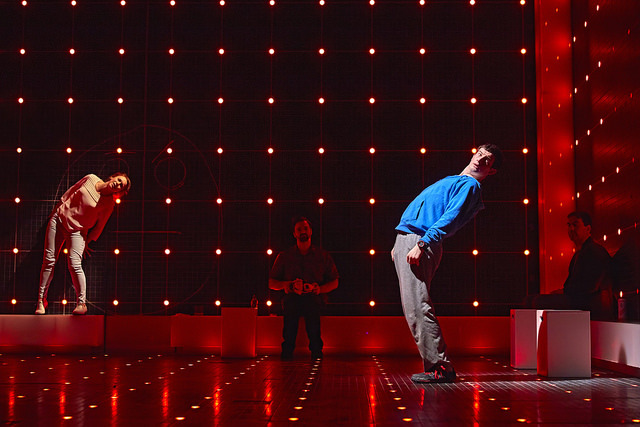 The Curious Incident of the Dog in the Night-Time is not to be missed. 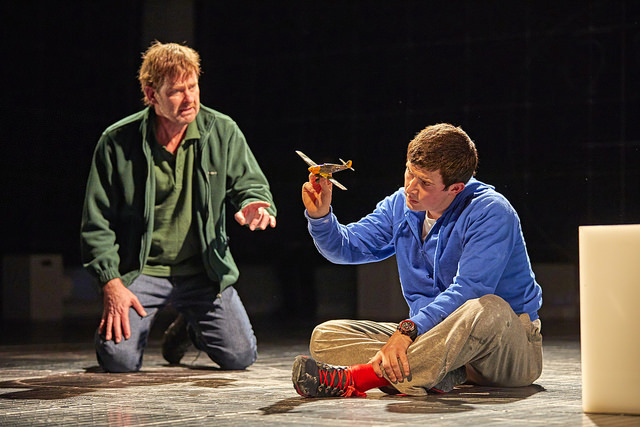 It plays at The Lowry till 4 February. Disclosure: I was given press passes to attend a showing of this performance in exchange for the review. All opinions are my own.